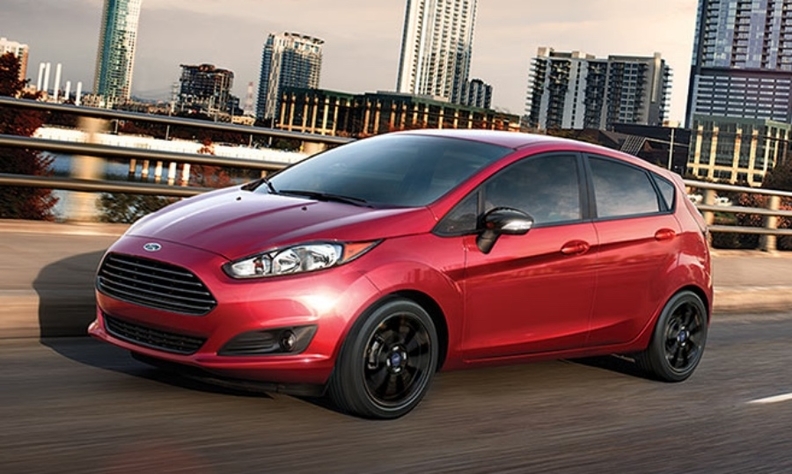 A look at the 2016 Ford Fiesta. Ford Motor Co. plans to introduce the next-generation Ford Fiesta subcompact sedan at an event in Germany on Tuesday, Nov. 29. Also at the event, Ford plans to update its smart mobility strategy and fuel-saving technology developments, and introduce new commercial vehicles. "The new Fiesta will be our best expression of Ford -- lovable fun, sporty to drive and with an unmatched personality true to the spirit of the iconic small car that has delighted generations of customers for the past 40 years," said Jim Farley, president of Ford of Europe. The redesigned Fiesta, Ford's smallest car in the U.S., is expected in U.S. showrooms in 2018. Meanwhile, Ford Canada declined to comment. “We’ll have more to say at a later date,” Ford Canada Communications Manager Michelle Lee-Gacey said in an email to Automotive News Canada. European media report the seventh-generation Fiesta will remain on Ford's global B-sized platform but become more refined, with additional available safety systems, a more upscale interior and displays. In Europe, Ford may offer a luxurious Vignale variant of the next Fiesta, British magazine Auto Express reported, citing Ford of Europe sales and marketing officials. U.S. sales of the Fiesta have dropped sharply this year -- 27 per cent through October -- as low gasoline prices entice consumers to buy larger vehicles, notably crossovers. Ford builds the Fiesta in Germany, Mexico, Thailand, Vietnam, Venezuela, Taiwan and India. The U.S. version of the Fiesta will continue to be made at Ford's factory in Cuautitlan, Mexico, a company spokeswoman said. Ford sells the Fiesta, launched in 1976, in a number of markets around the globe.